I’m not going to lie, I’m one person who loves food. If people are eating food, I’m always willing to try it. This is to say that I respect every food culture in the world and believe that if other people are eating it then it’s edible. Recently, I took a trip to the beautiful Island called Taiwan. Believe me, just like most other Asian states, their food culture is over the top. I especially enjoyed the desserts. So, I stayed a little longer to enjoy more of the desserts and main meals. Although Taiwan has its food culture greatly influenced by her neighbors, they have their own method of making different meals like cakes. With this blending of traditions, Taiwan has reproduced various meal from the neighboring states and countries to make their own. For me, this is like my regular bun from across the road back in Beijing. It’s just a white bun that has some black filling in the middle. For anyone not used to black fillings, tasting this is tricky because you might think that its dirt which it’s not. Try it and discover the bun that is richly flavoured and unparalleled across the globe. I know the filling mostly contains black sesame seeds. However, some people will use honey and peanut oil thus giving you a blend of sweet and nutty flavors. Notice that a good Taiwanese black sesame bun will have more fillings. I like this bun because the filling is not liquid which means it won’t seep out of the bun soon as you bite it. This is the closest you have to a sweet pastry only its not the same sweetness you have with western sweet pastries. This was another favorite of mine especially since my family often served it with Arabic dates for dessert. This is greenish yellow in color and it comes in bite-size forms. It has a smooth outer texture and like most other cakes it’s crumbly. It normally contains the mung beans or azuki bean pastes. It comes in circular and floral shapes. Other ingredients that make these cakes are milk sugar and coconut milk. The cake is a little oily compared to other desserts but utterly delicious. It’s smooth and tastes like peanut and red beans. Don’t even forget the coconut flavors. This is an authentic Taiwan cake. It originates from Taichung in Taiwan. These ones I liked because they are readily accessible. You will find them in the street shops and vendors. The cake has maltose as its fillings and its outer texture is white and flaky. In Taiwan, it’s mostly eaten with tea. It’s made using the phyllo dough and this dough is rolled into paper-thin sizes. 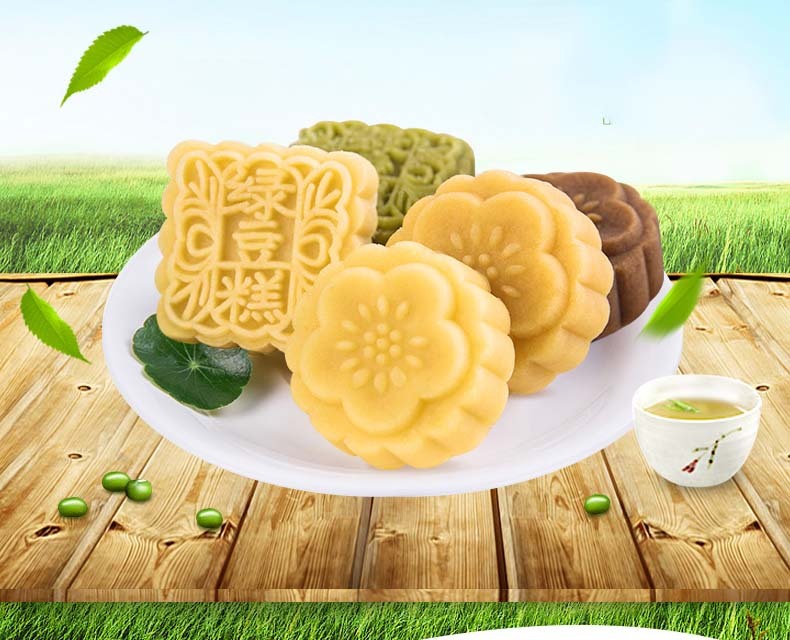 You roll the cake to assume the shape of the sun and thus the name sun cake. Some people give them off as souvenirs as the wrap them nicely in a beautiful box. To describe the taste, it’s sweet than honey and it also has the malt sugar taste to enhance the sweetness. When you get a piece of this you will know why there’s always a line of people waiting to buy the cake every time on the streets. 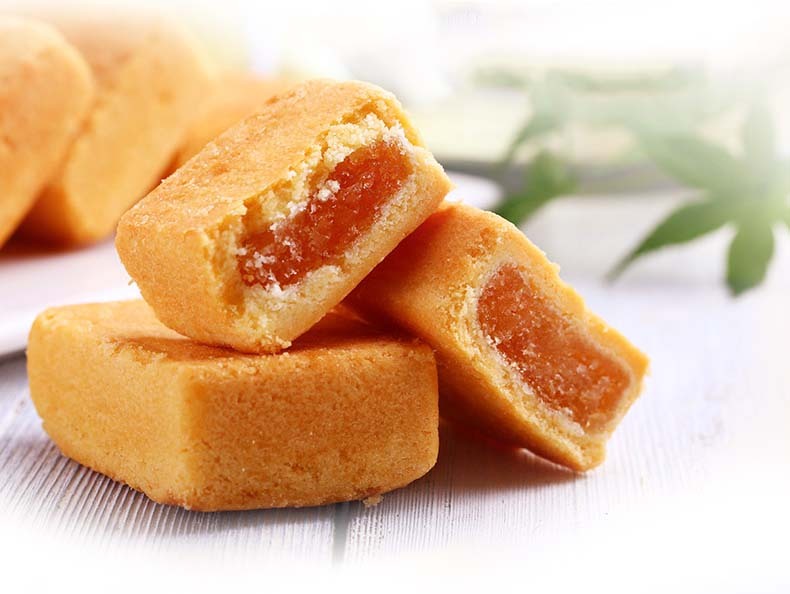 Taiwan is well known for its pineapple cakes because they are often so delicious. The difference with your regular pineapple cake is that this one has egg yolk in the middle. The egg yolk together with pineapple fillings is exactly what you need after a tough day. The two give you a savory and sweet taste. 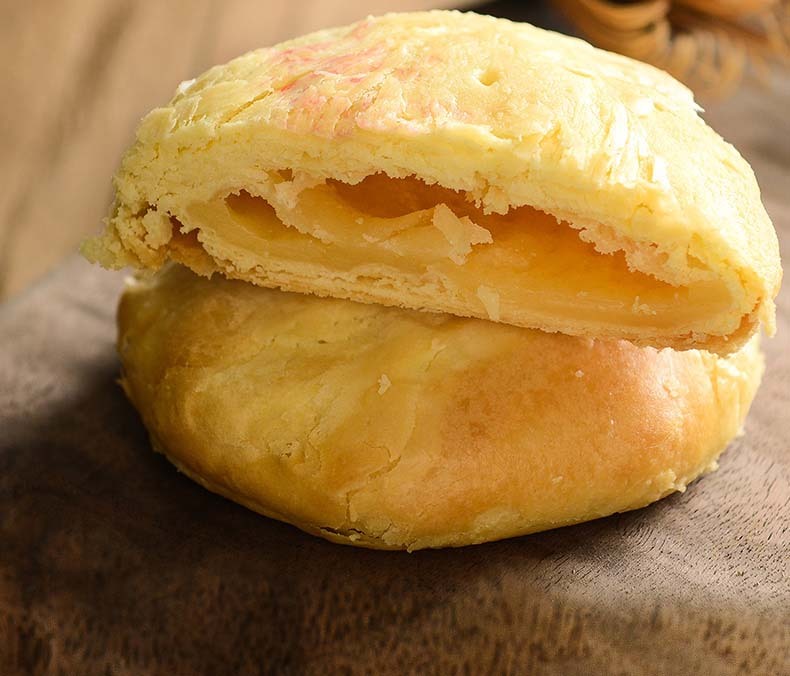 Pineapple pastry is common among tourists visiting Taiwan. You might want to try it yourself. This is often given to those who are invited to the engagement party. Whether you are a friend or relative you will be braced with the cake. These cakes are often given by the groom to the family and friends of the Taiwan bride. The cake name literary means double happiness in Chinese. They will come in a rectangular or round shape. To describe these cakes, they are often sweet yet they have the nutty flavors. They also contain dates which is often a symbol of love in the Asian community. They also have lotus seeds and azuki pastes. 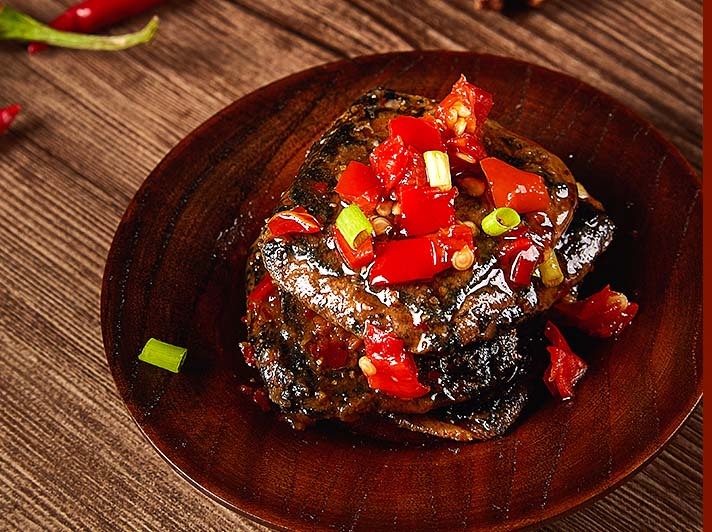 You should know by now that Taiwanese love pork so the cakes will also have pork filling as well as winter melon. This is a common cake in Taiwan, in fact, it’s popular across the globe. 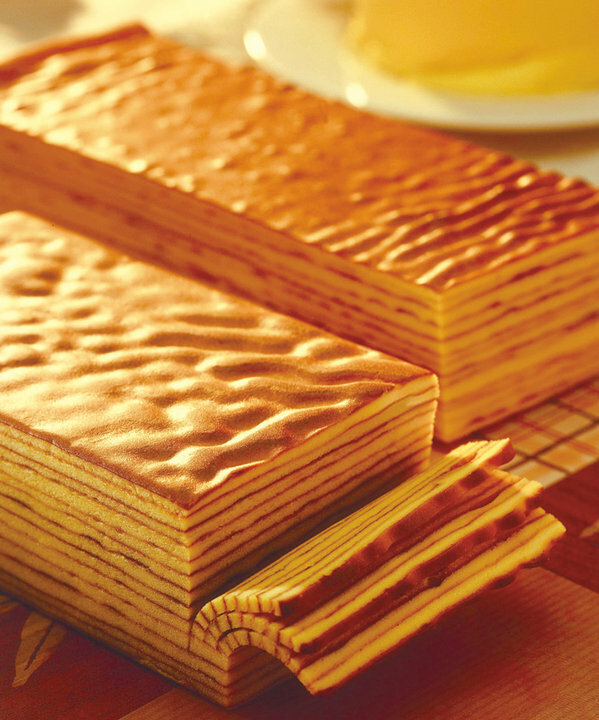 In simple terms, this is just the small square like cakes that have a golden-brown buttery exterior. They contain pineapple filling. The pineapple cake symbolizes your wish of good luck to the people you are giving the cake. It also symbolizes prosperity to mean prosperity is coming. If you don’t know much about sweets in Taiwan you should at least know this cake. You may simply refer to this cake as the pillow like sponge cake. 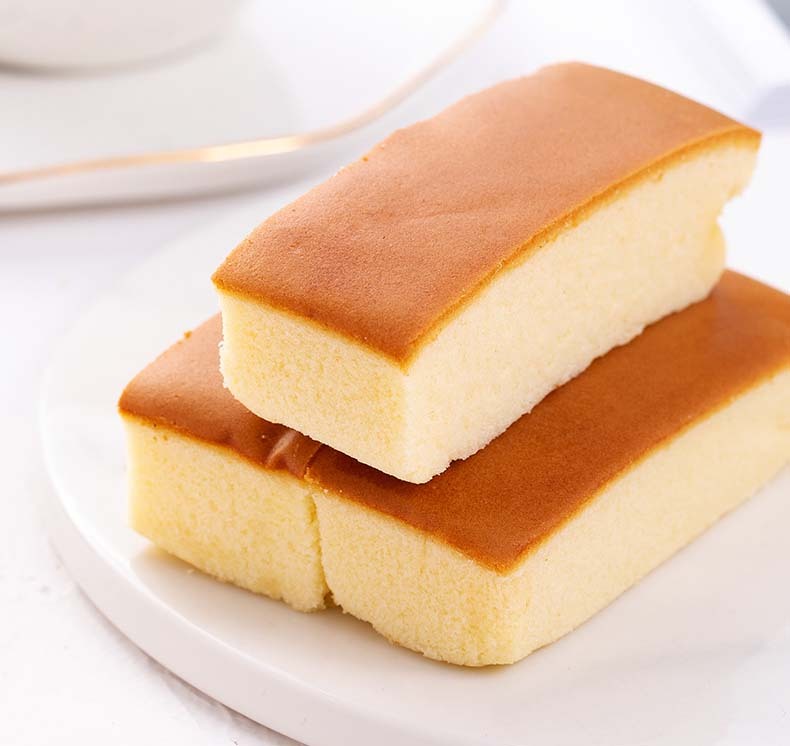 Although its closely related to the sponge cakes from other Asian regions, the cake is full of egg flavor yet it remains fluffy. It’s further soft and smooth. This one unlike most other cakes in Asia is baked the regular way. Only remember to use a water bath because it will make it all smooth. This one you may use as a regular dessert after or in between your regular meals. Although this kind of cake became popular a little over 20 years ago, it’s one kind of dessert that anyone will enjoy including those with a sweet tooth. Featuring a blend of sweetness and fruity flavour, this is your best choice of cake. Additionally, the cake is a blend of flavors because the layers include the pineapple cake as well as the local Taiwan honey cake flavors and tastes. 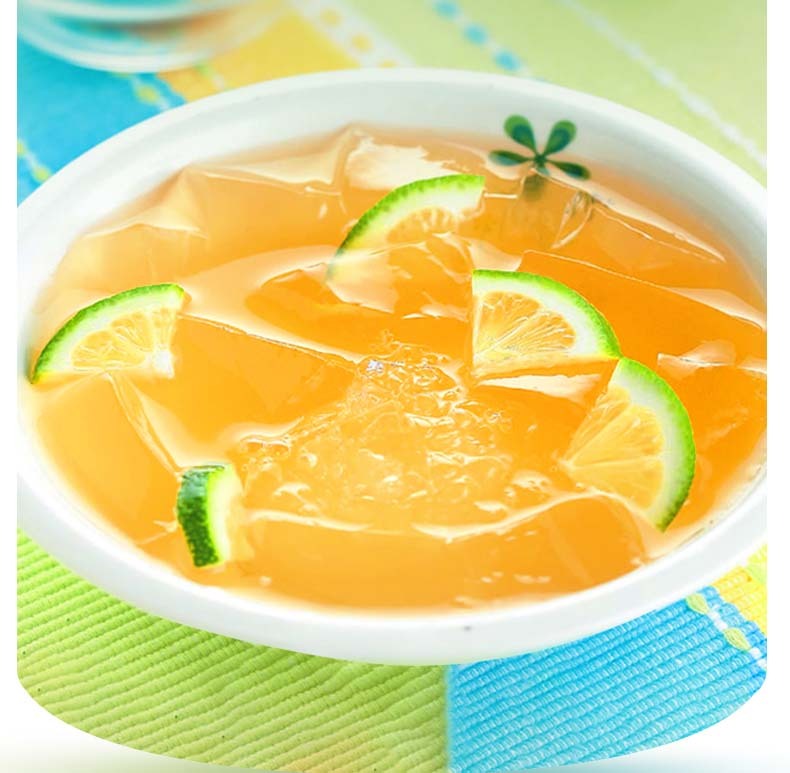 To further enhance its flavour, it’s mostly sprinkled with Taiwanese honey as well as lime liquor. Although Taiwan doesn’t like making sugary food, this is one such sugary dessert. It features a combination of pork, almond, apple soy sauce and sugar. This one is readily accessible around the streets and markets. You can’t really tell its taste or texture until you decide to try one for yourself. One thing I can assure you though is that it’s crunchie and you will soon look for more and more. 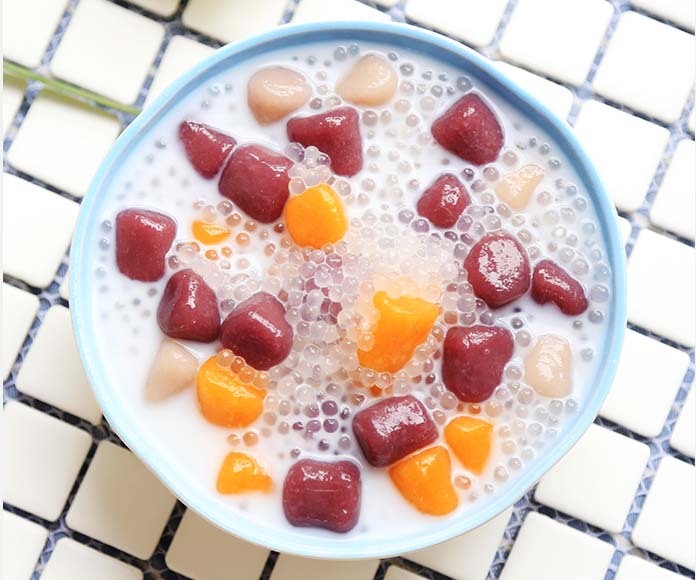 This is a traditional Taiwanese dessert made using taro. You will find it in most of the towns in China. To make it, mix the steamed and mashed taro with water, sugar and sweet potato flour/ or potato starch. These ingredients will make it soft and spongy at the same time. If you are keen you will notice that some of the taro balls are made using pumpkin and sweet potatoes. It’s sweet and chewy yet it remains delicious. I like its blend of colors; sometimes you have it coming in purple and other times it takes on the yellow color. This is basically your unflavored shaved ice that is mostly similar to a snow cone. The ice cream is flavored with black sugar syrup and a few toppings which may be anything form taro balls, tapioca pearls and aiyu jelly among others. We all love some form of ice especially when it’s nicely made. 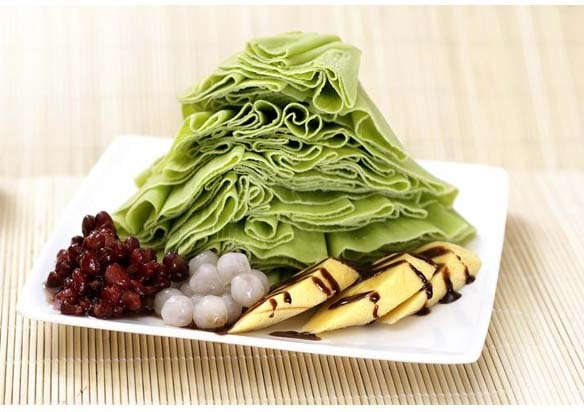 What makes it different is that it uses mounds of shaved ice and toppings or flavoring which may include anything from fruits to different other dessert types. You may not understand but the Taiwan summer days are so hot that it gives you the perfect excuse to eat shaved ice. This is basically a form of jelly that is made using seeds from a fig tree in Taiwan. This tree also grows in all areas that assume the same temperature and latitude as that of Taiwan. These tree seeds are sold in grocery stores so you don’t have to go to Taiwan to get them. Making aiyu jelly is quite easy. You only need to place the seeds in a cotton cloth bag then insert it in a basin of cold water and rub it as though you are washing it. With time the yellow colored liquid will stop coming out and at this point, you need to discard the seeds. You can then let the liquid content settle and form a gel in the refrigerator. Remember to only use pure water when washing your seeds. On finishing, don’t add sugar to the liquid that is waiting to form a jelly. Always ensure you use water that has some minerals for easy formation of the jelly. Rub the shells but not so much that the skin of the seeds peels off. This is borrowed from mainland China but its greatly loved by most other Asian countries including Taiwan. They are often small in size and can represent the traditional dessert. It literary has the stinky smell but its luscious in taste and flavors. 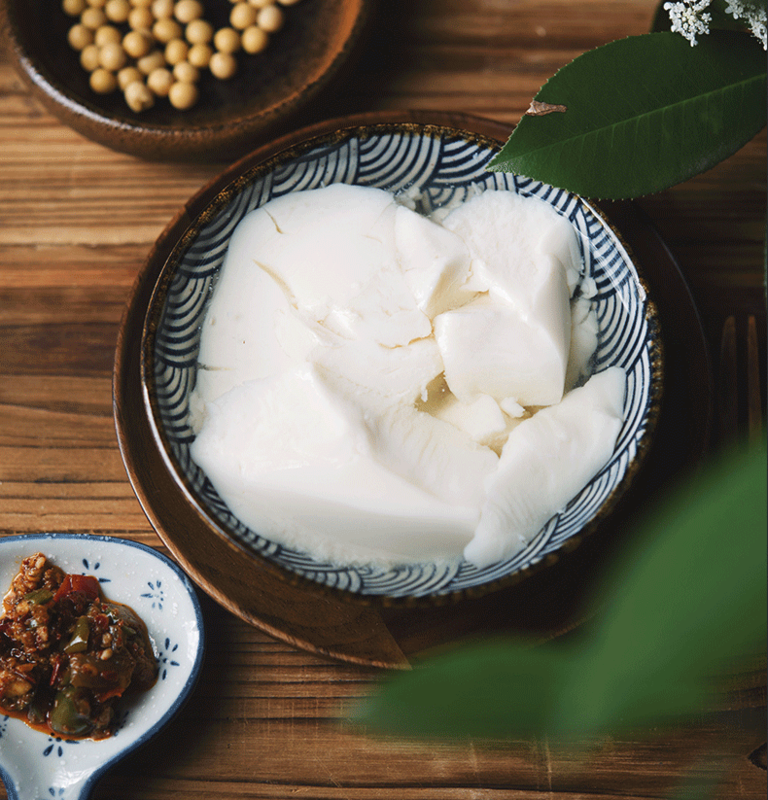 The snack features the bean curd that you deep fry then eat alongside sweet/spicy sauces and syrups. Of course, it puts some people off but if you will forget about the stinky smell then you will enjoy it. Just like the mainland of China, it counts as one of the traditional Taiwan desserts. It’s simply a dessert that is made using the tiny pieces of soft tofu. It’s often eaten for breakfast in some major Asian cities but in Taiwan, the meal is served with sugar syrup at any time. You will sometimes find the tofu pudding infused with ginger and then red beans are used as toppings. Just like ramen has swept the culinary world in recent years with its ability to make great buggers and pizzas, it has been in use over the years in Taiwan. Did you know that you can mix the pudding with ramen noodles? For most Taiwanese, you can describe the blend as salty yet sweet with a blend of hot noodles and cold pudding. The pudding should melt into the noodles making it creamy yet delicious. This is one of my most favorite puddings because we ate it even as young people growing up. What a like about this pudding is that you can find it in almost every corner of the globe, but the one from Taiwan is just the bomb. Maybe what enhances its flavor is the milk you will find in the pudding as it remains smooth. It’s milky yet smooth with a balanced level of sweetness and it has some level of delicateness which gives it another level of niceness. This subtle pudding flavor is exactly what you need after your full meal. This is exactly the dessert you should have for the winter and summer days. I should mention that during summer, the Taiwanese love anything iced. This is one of the iced delicacies that is between the regular ice cream and shaved ice. You are allowed to choose the different flavors that interest you although the common ones include peanut, sesame and pineapple. Not many people understand the crave for this drink but it’s an amazing type to try. Generally, this is made into a smoothie with the freedom to make it as light as you wish. On itself, it’s an energy boosting drink. It basically contains avocado, papaya, milk and honey which gives it an authentic yet amazing taste. This drink has just the right nutrients that suit lactating mothers. It’s easy to make at home. I must say I’m not such a fan of sugarcane juice, in fact, I prefer eating the sugarcane than the juiced one. But this is one of the dessert drinks you will find in Taiwan. It has the sugarcane flavor since it basically contains sugarcane and some water. It is literary a drink that is from the Hakka people of southern China that moved to the East of China-Taiwan. It’s easy to prepare because you use your pestle and motor to pound the tea leaves, sesame seeds and peanuts. Sometimes they add pumpkin seeds, pine kernels or even sunflower seeds. When this mixture is pounded, it produces a sticky paste on which you pour your hot water. Ensure the paste is so fine to make a good leicha. Even in restaurants where this drink is served, you will be given the pestle and motor to make your own leicha. You will acquire a blend of flavors but its mostly savory. You may also have it being sweet, thick and it’s served hot or cold. Most people use it during winter. This is one of the favorites in the country because of its chewy texture remember the tea has tapioca balls that are responsible for the bubbles formed in the tea. Could you imagine that this drink was invented out of boredom? It was a blend of tapioca pudding and tea that gave rise to this most loved drink today. Lucky for you, the tea is readily accessible in various shops in the streets of Taiwan. This one cuts across the Asian community. It’s another one of Taiwanese favorite desserts. This one is authentically from Japan. You make it with glutinous rice paste and its one of the soft desserts. It comes in a round shape and you may use different ingredients to flavour it. The ingredients you use to enrich it include red beans walnut and coconut powder. You will find it sold in special shops. The Taiwan version is mostly borrowed from the Hakka tribe and it’s a lot easier to make than the Japanese version. It basically features the handmade version of the Japanese mochi but with peanuts toppings. This dessert is prepped during weddings and it assumes a round shape that symbolizes the marital union and the togetherness of the couple. It’s small but try to chew it before swallowing to avoid choking. Its peanut coating gives it a great nutty flavour. This is one other one of the most important desserts in the market. The xian leaves are left to dry over a long time and specifically a year. This is what enhances its aroma and flavors. These unusual flavors make great jelly. It forms a black translucent jelly which is then served with sugar syrup, evaporated milk or cut fruits. Although the plant comes from the mint family, the jelly has nothing minty. It remains delicate yet refreshing which exactly what you need after a great meal. Some people add it to the shaved ice among other desserts as toppings. It’s preferred more because of its flavour and not really the nutrients. How does grass jelly taste like? This jelly is slightly mild and bitter in taste. It’s best served chilled with other toppings like fruits. You may further serve it on top of other drinks like bubble tea among other drinks. Sometimes it’s added to Boba drinks. This gua bao is the Taiwanese pork belly bun. You will mostly enjoy the buns because they are fluffy and soft. They feature the steamed buns with pork belly meat filling to give you a blend of various flavors. It’s made almost the same way as the steamed buns. It’s not fully a dessert rather it is one of the small filling buns that may be eaten as a snack. Sometimes you may also eat the ones made using the pork tongue and we must say its equally delicious. This dessert is just like the refrigerated form of the dim sum that is popular in the Asian region. Some people refer to it as coconut pudding because of its texture. The piece is gelatine-like, soft and white in color, therefore, eye-catching. To make it you need the freshly made coconut, tang flour and corn starch. You may also use the mix of agar agar with gelatine. This piece is sweetened and then sprinkled with desiccated coconuts sometime. Its real texture is anything from silky and creamy. The best one is made without fillings. So at least you will enjoy this if you don’t like the buns with fillings. Taiwan like the neighbouring countries is home to many different fruits. This island grows so many delicious fruits. You will find mangoes lychees, guavas oranges, pineapples berries kiwi the list is endless. The other common fruit is wax apple, papaya, durians and yellow watermelons among others. I like assorted fruits desserts because they have greater nutritional advantages. This is a kind of translucent dumplings and they are stuffed with sweet and savory fillings. They are either boiled or slow fried to cook the ingredients on the inside. They are mushy yet nicely chewy. They may work well as desserts as well as part of the main meal and appetizer. When you order it, you expect a sweet and savory sauce to accompany it. You should know that they are your comforting food. This is one of the spring rolls that is commonly used in Fujian province of China and Taiwan state. 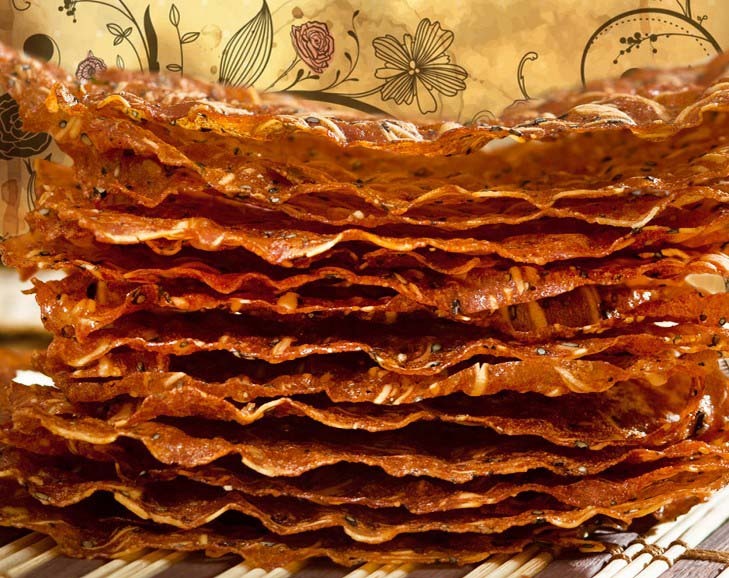 It features a thin paper-like crepe that’s made using wheat flour. Of course, you will see it being made in the streets of the cities. Here the Taiwanese eat popiah through the year. It’s crispy and small rolled with sweet red bean paste and meat. The filling will sometimes be spicy and stir-fried. It often has rich flavors with nutty flavors from peanut powder. Other times the fillings are simply blanched in water then seasoned simply with sugar and peanut powder. Understand that if you are from the west, these desserts may seem odd as they mostly contain no sugar or they have sugar but in minimal amounts. For you, this may put you off but it’s just a matter of time before you begin to love them.